The story, or stories, since there are two distinct interrelated tales told in The End of Music, centers around Herbert Carter (or Carter as he is most commonly called) a fortyish former guitarist for “Indefinite Yes”, a popular experimental indie rock band in the Toronto club circuit back in the nineties. Carter is divorced from Leah, the other co-founder of the band and is now married to Isabelle. Carter has gone back to university to study archeology. They have a young son Sam. The second story is that of Carter’s mother Joyce, who as a young girl in the post-WWII years escapes the outport life to go to Gander, the “crossroads of the world” for international flights. She gets a job as a counter agent for an airline and sings (reluctantly at first) for a small dance band. The End of Music hop-scotches back and forth from Joyce’s past to Carter’s present where Joyce is now a senior suffering from dementia. The End of Music is one of the best novels I have read this year. An excellent sophomore effort from Mr. Fitzpatrick. The End of Music is a clever work of contemporary fiction. Mr. Fitzpatrick adroitly manages to weave the two storylines in such a way as to produce a certain “flow” to the novel, and not leaving the reader confused if he/she is in the past or present in the narrative. The author also has a delightful use of space in his prose; it is neither wordy nor sparse, making for an enjoyable read. Skillful works of imagery are also present throughout the story, again making for engaging reading. I particularly liked the chapter when Carter “found” both Leah and later, a guitar (a Telecaster, no less, a “guitar that can make you believe anything”, Carter tells a friend of Isabelle’s) when in Toronto. Both were discovered in old, tomb-like locations, Leah and the Telecaster being the only items of value to be found. The spectre of Death surrounds both “finds”, ominous and foreshadowing of the days to come. He had first seen her at the music shop on Queen, where she was often the only one working. Not a popular shop. Dim and musty, with condensation obscuring the front window. A few battered guitars and horns hung on display. But the walls were mostly bare, patches of it scored with hooks, showing faded outlines where instruments used to be. The old mailman had died in his bed on the second floor of a red brick house. The room was narrow and sweltering. The listing had said “electric guitar, good condition.” Not much to go on for a trip across town and a thirty-minute walk from Runnymeade. But Carter had badly needed a guitar because Leah said, “You need a real [expletive] guitar.” Carter wasn’t sure what he had. But he apparently knew more than she [the dead man’s sister] did. He knew it was a Telecaster. This was astonishing good fortune. But Carter was young enough to expect it. 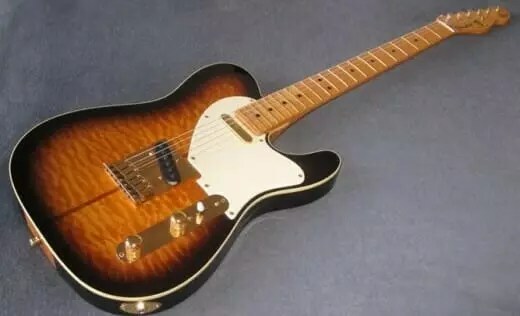 Both Leah and the Telecaster were “astonishing good finds” for they both contributed to the making of music, the one truly worthwhile accomplishment of Carter’s life to date, for he is a man with little to no control in his life. His elderly mother Joyce is suffering from dementia and must be put in a senior’s home back in Newfoundland. His new wife Isabelle has a loving, yet constraining presence over him. His son Sam has an unidentifiable heart condition that troubles him, and they must take him to a heart specialist in Toronto for checkups. He is an archeology student, and as such is controlled by schedules and teachers. Then there is the matter of the band’s music which has inexplicably experienced a resurgence in interest of late. Leah, who is dying of cancer opposes the remixing of old tapes, while Will, the group’s bassist along with his enthusiastic music producer and nephew Jordan, wants to get in on the surge of interest to make some much-needed money. A bewildered Carter is caught in the middle. Carter didn’t share the excitement. Listening only reminded him that the spirit in which the music was made is gone. He is middle-aged and calcified. He can’t hear it. The other fascinating motif I found throughout The End of Music is that of wreckage or damage. 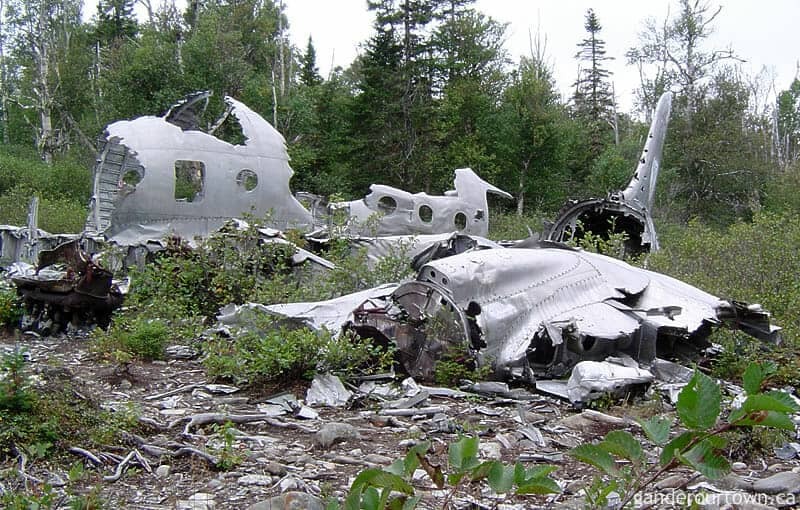 The Gander airport is surrounded by the wreckage of aircraft from the war period through to the fifties when Joyce is working there. There is an accident when the plane carrying her current love interest Eric goes down just after takeoff with all on board perishing. (Interestingly, years later, Carter’s archeology class visits the crash site in Gander). Will, the aforementioned bassist for Infinite Yes, is a wreck of a man after suffering an industrial accident while working out west. Sam’s heart is damaged. Leah is consumed by cancer. The band’s old tapes are disintegrating, and the software needed to recover them is ancient, as is the hardware needed to run it. Joyce’s brain is damaged by dementia. You get the picture. This is Carter’s world. I haven’t even touched on Joyce’s story, which is captivating too since she rapidly matures away from the constraints of home in the hectic world of a rapidly expanding Gander as travel by plane is becoming the norm and the world passes through the gates of the airport. Joyce’s worldview is expanding, and she never wants to go back home. The End of Music is not the book I thought it would be (I never read the blurbs on the back cover when I pick a book up). I assumed it was going to be on the rise and fall of a band as the cover might suggest. Instead, it was a beautifully crafted story of time periods, morals, loves old and new and a man at the crossroads of middle age and an aged woman who refuses to be confined “to that place by the lake” where the severely demented are taken. Truly, The End of Music is one of the best books I have read this year, and I am putting it on my 2018 longlist for a “Very Best!” Book Award for fiction. I can’t imagine anyone being disappointed by this book. I devoured it in two days and was saddened when it I finished it. In short, an excellent sophomore effort from Mr. Fitzpatrick. *Please note if you choose to purchase this book through Amazon using the link below I will receive a small commission at no extra cost to you. If you cannot see the Amazon ad below (if you are using an ad blocker, for instance) here is the link: https://amzn.to/2rEW9fT Thanks!